On Thursday, more than 160 business professionals, staff, alumni and students gathered for St Margaret’s first Professional Women’s Network Breakfast for 2019, where guest speaker Susan McDonald shared her career experiences and inspiring words. 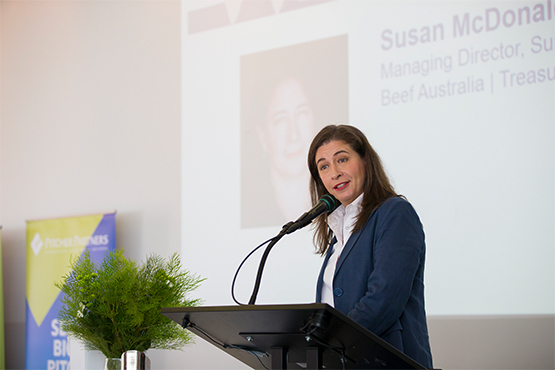 Susan, the managing director of Super Butcher, director of Beef Australia, a Queensland divisional councillor of the Retail and General Industry Group of Australian Meat Industry Council (AMIC) and treasurer of the Queensland RNA, spoke about her early realisation there are not a lot of women in “top jobs”. “I think that’s the most important thing we can do – is stand up and fill those roles,” said Susan. And stand up she has. For Susan, whose roots are deeply embedded in rural Queensland, she recognised the need for more women in politics and the need for representation for the regions and the bush, and so Susan is standing as an LNP candidate for the Senate at the next Federal election. In her refreshingly raw and honest account, Susan spoke about her career experiences and the constant juggle women in the workforce face balancing family, work, relationships and the feeling of “always running”. Susan inspired audience members and the students in the room revealing that grit, hard work and determination would open doors and uncover opportunities. “Be true to who you are and what you’re good at. Be yourself, but most importantly show up. Show up, everyday. It doesn’t matter what you’re doing – do it to the very best of your abilities, whatever job it might be. “If you do your best job you will always be the right person for the next opportunity that comes along,” Susan said. Thank you to all who attended the sold out event, the first of a series of four in 2019. St Margaret’s also thanks our partners who supported the event including the Professional Women’s Network associate partners, Pitcher Partners and McCullough Robertson and supporting partners, Downer, NAB and Programmed Property Services. All proceeds from this event will be directed to the St Margaret’s Foundation Endowment Fund which supports our current partnership with Yalari, and current and future families experiencing hardship, including those living in rural and regional areas. 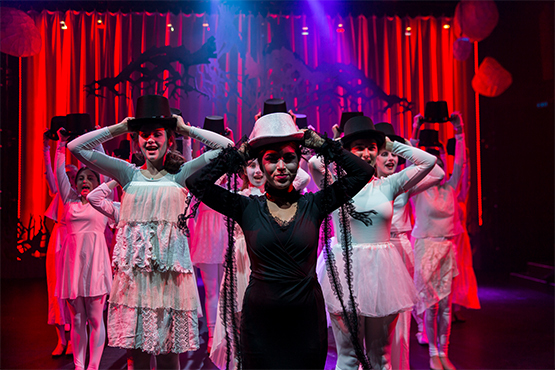 For a gallery of images from the event, visit the St Margaret’s Facebook page. The next Professional Women’s Network breakfast will be held on Wednesday, 15 May with guest speakers, coffee entrepreneurs, Penny and Peter Wolff. Click here for further information and tickets.